This entry was posted in VMware and tagged HP, HPE, PSOD, VMware by mitsujase. Bookmark the permalink. Thank you for posting this; we appear to be having the same issue and weren’t making much progress with support until I found your post. We are facing the same problem. After you changed the configuration the problems stopped? Hi, thank you for your post. Do you have something new about the case from VMware or HP? Hi, Thank you for the Post. 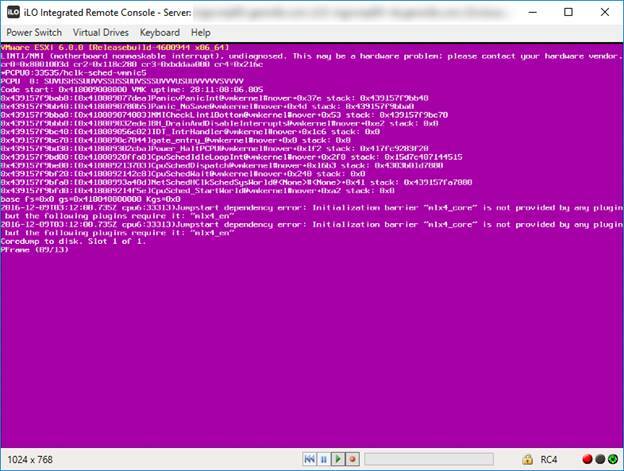 we are trying to run the same command on HP DL560 Gen9 servers running ESXi 6. However we get the below error.